For people who are interested in taking private label vitamins, there’s a whole lot of jargon and terminology to learn. Of course, the spectrum of vitamins that people can take runs a veritable alphabet from A to E and beyond, but there’s actually more to it than just that. 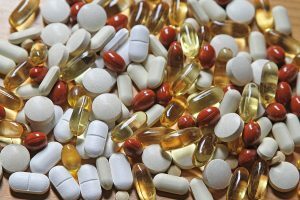 Taking a quick look at the average bottle of vitamins, or even just experienced articles or websites discussing recommended vitamin intake reveals a whole collection of acronyms. But what do they mean? How important are they to a person taking vitamins? Are there any health risks? We’re going to look into some of the more common acronyms to help clear this up. RDA stands for recommended dietary allowance. As the full name implies, this stands for what amount of vitamins people should be looking for in their private label vitamins. This will always vary between different vitamins, and can even have very specific differences based on age range and gender. In this case, it doesn’t mean artificial intelligence, but adequate intake. Like RDA, it’s the recommended minimum amount to ensure that people are getting an effective dose of a particular vitamin. While RDA and AI are all about effective minimum levels, the Tolerable Upper Intake Level, or UL, is all about the safe maximum. There is such a thing is getting much of a vitamin. In the same way that sun tanning can lead to a sunburn if you overdo it, it’s a similar problem with overdosing on a particular vitamin. This means daily value, and it’s another component you should keep an eye out for on bottles, or, if you’re manufacturing private label vitamins yourself, consider putting on your bottles as guidance for customers. The more information that is available on a bottle, the easier it is for people to make decisions about how they want to consume—or partition—their doses. UL, for example, can be an important factor, especially for people with health conditions. It’s important to remember that with UL, that’s not just talking about strict content on a bottle, it may also refer to similar vitamin or supplement content in food that is consumed that day as well. So if you’re thinking about making private label vitamins as a business venture, consider using these guidelines about RDA, AI, UL and DV to help your customers make informed choices.